The Series BFV butterfly valve cartridge seat design eliminates the installation problems that are linked with the general "dovetail design" seats. The lower valve torque is more reliable because the seat dynamics don’t rely on being mated between two flanges. The disc and body precision machining permit the cartridge to preserve a tighter disc-to-seat tolerance, offering a perfect low torque seal every time the valve cycles. The seat-to-disc seal is free of flange support and capable of full-rated dead-end service. Select from wafer/lug patterns and choose a ten-position locking handle lever or a manual gear operator. 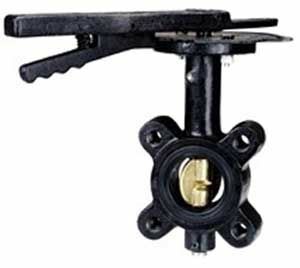 Standard valves have bubble tight sealing to 15.5bar and comply with both MSS-SP-67 and API-609.